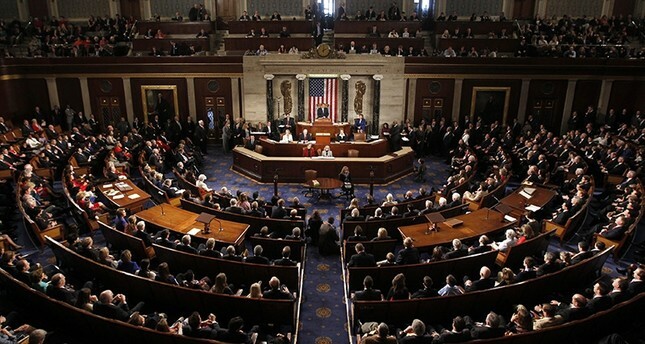 The U.S. House of Representatives Wednesday voted in favor of a resolution that would force the Trump administration to withdraw U.S. troops from involvement in the war in Yemen, a rebuke of the president's alliance with Saudi Arabia. Lawmakers in both parties are increasingly uneasy over the humanitarian crisis in Yemen and skeptical of the U.S. partnership with that coalition, especially in light of Saudi Arabia's role in the killing of Washington Post columnist Jamal Khashoggi, a critic of the royal family. "We have helped create, and worsen, the world's largest humanitarian crisis," said Rep. Barbara Lee, D-Ca., during the debate. "Our involvement in this war, quite frankly, is shameful." Senate approval would set up a showdown with the administration over Trump's shifting approach on foreign policy. Lawmakers are quick to point out that Trump wants to withdraw troops from the wars in Syria and Afghanistan as part of his "America First" approach, but he has shown less interest in limiting the U.S. role in Yemen. The White House says the House resolution is "flawed" because U.S. troops are not directly involved in military action in the Yemen, where the coalition is fighting the Iranian-backed Houthi rebels in a conflict largely seen a proxy involving the Mideast's dominant regional players. Since 2015, the administration says, the U.S. has provided support to the coalition, including intelligence and, until recently, aerial refueling, but it has not had forces involved in "hostilities." Congress has not invoked the War Power Resolution, which requires approval of military actions, since it was enacted in 1973. Lawmakers approved more sweeping authorizations for the wars in Iraq and Afghanistan that some argue are being used too broadly for other military actions. Newly emboldened Democrats in the House eager to confront Trump on foreign policy, and Republicans in both chambers have shown a willingness to put a legislative check on the president's agenda. Rep. Ro Khanna, D-Calif., who drafted the legislation with independent Sen. Bernie Sanders of Vermont, said there's an emerging bipartisan alliance that's skeptical of military intervention without congressional oversight. Before Wednesday's vote, the House overwhelmingly agreed to add an amendment offered by Republicans working to expose emerging Democratic divisions over support for Israel. The amendment reaffirms the U.S. commitment "to combat anti-Semitism around the world" and says it's in the U.S.'s national security interest to oppose boycotts of Israel. That's a reference to the Boycott, Divest and Sanction movement that has gained support of some lawmakers. Now the Yemen measure goes to the Senate, which where a similar resolution on removing U.S. involvement in the war was approved with Republican support late last year. At the time, Congress was eager to send a message to both the president and the Saudis after the October murder of the U.S.-based journalist Khashoggi at the Saudi Consulate in Istanbul. The U.S. has sanctioned 17 Saudi individuals for their involvement in the killing, and U.S. intelligence officials have concluded that Saudi Crown Prince Mohammed bin Salman must have at least known of the plot. Trump so far has decided not to impose harsher penalties on the prince. The kingdom insists he did not order the killing. The outcome of the legislation is uncertain. Republicans control the Senate, 53-47, and a simple majority is needed to pass. Trump has yet to veto any measures from Congress. If he did veto the Yemen resolution, it's unclear whether lawmakers would have enough support to override him.